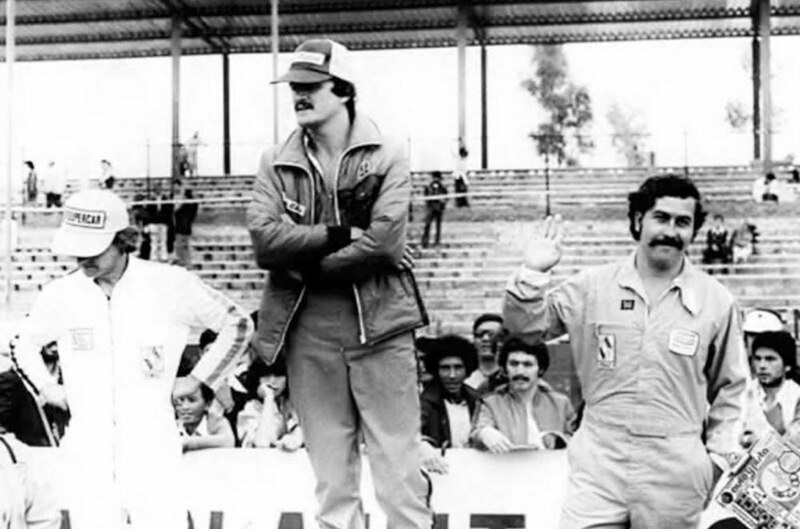 Axis Of Oversteer: The racing career of Pablo Escobar. The racing career of Pablo Escobar. Plata o sin-plomo? Nobody ever protested his cars. 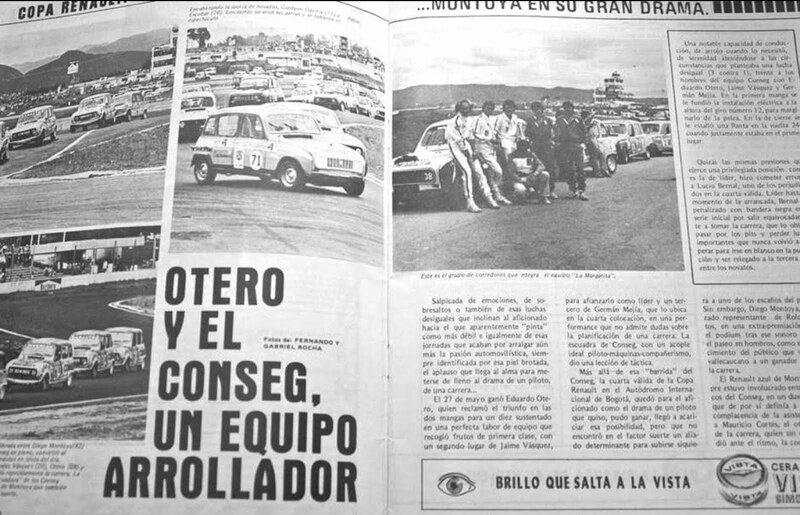 Would you believe some of the first mentions of Pablo Escobar in the Colombian press were not for of his activities as narco-trafficer or "politician" but as a competitor in the popular Copa Renault 4 in the late 1970s? 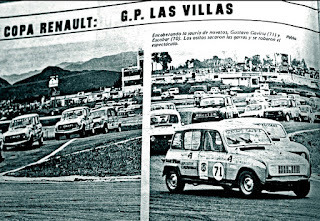 Renault 4 were, for Colombia, the equivalent of the VW Beetle for Germany or the FIAT 500 for Italy in the post war years: the car that got a country motorized and moving. 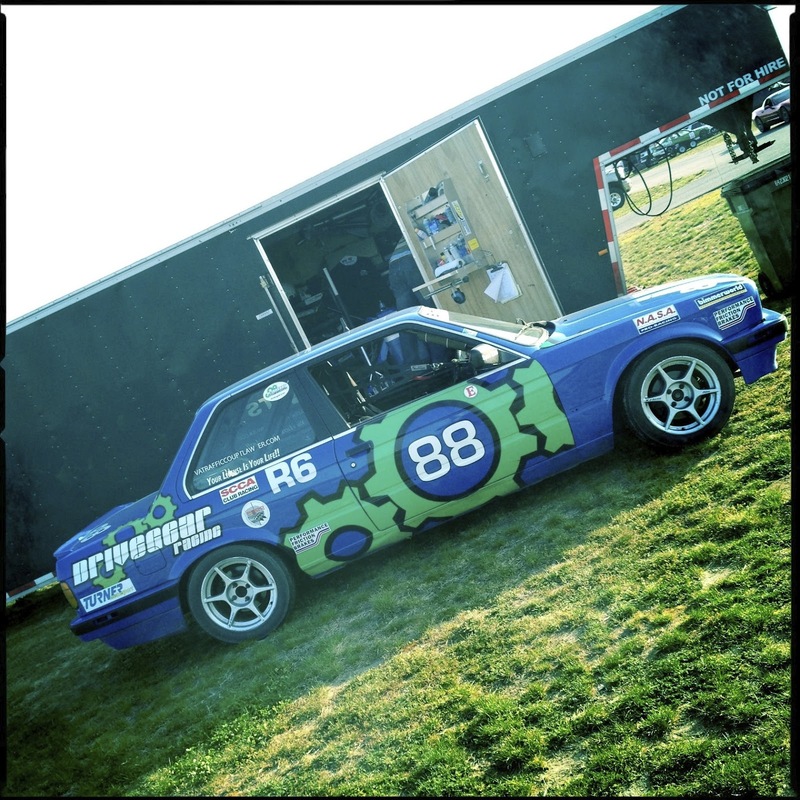 Cheap, sturdy and practical, the "Renaulito" was a national symbol and is still a cult car to this day. 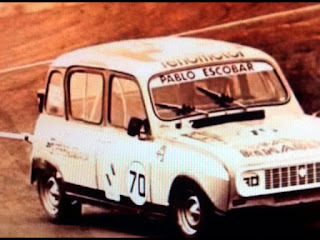 Escobar, like many Colombian young men, loved the boxy French cars. In fact, t's said the future kingpin was at the wheel of a green Renault 4 the day he was first arrested by police in 1974. 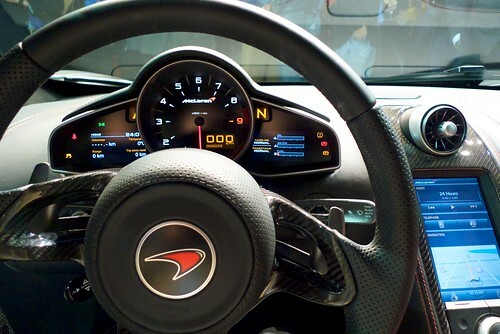 He loved the cars so much, his sister Alba Marina told an interviewer how "El Patron" would often gift friends expensive new cars in exchange for their R4. 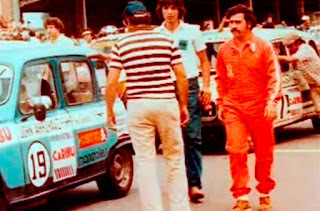 Naturally the need for speed was irresistible and in 1979 he entered the inaugural Copa Renault 4 championship at the Autodromo Ricardo Mejia circuit. in Bogota. 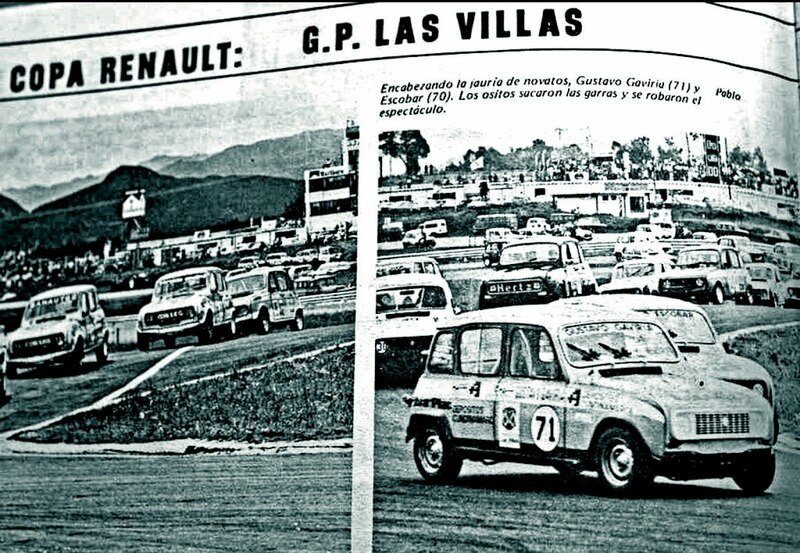 Escobar turned up at the race with four cars, one each for himself and his cousin Gustavo Gaviria and two spares. Racing that day were also his narco "frenemies" the Ochoa brothers, together they were the leaders of the Medellín Cartel that would later bring the Colombian nation to its knees with unspeakable violence. But in 1979, if anyone knew what his day job was, it was not mentioned in the press. Escobar passed himself off as a successful businessman who started off dealing in "used" bicycles and later expanded to to cars and properties and now used his wealth to help the poor. This was true, he bought good will with generous donations to the poorest Colombians and it was also true he started his criminal career dealing in stolen bikes. 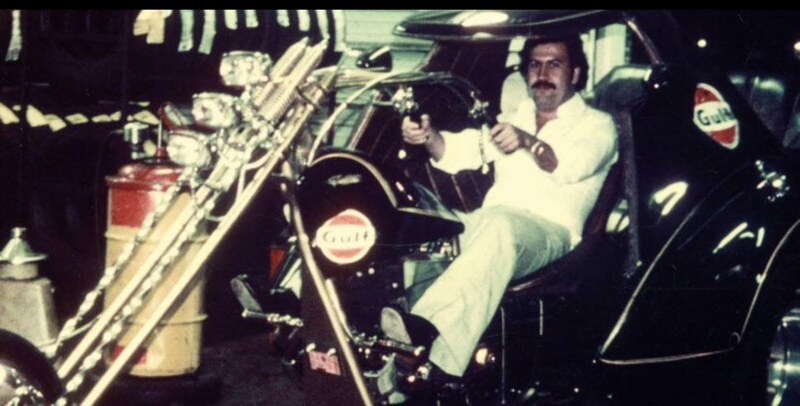 The passion for bikes ran in the family, Escobar's brother Roberto was a well known cyclist who later started the bike company Ositto (after his nickname "little bear"), sponsor of Escobar's and his posse's race cars. 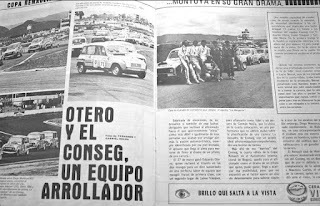 Julian Calle, a competitor in the same series recalls how Escobar's team would show up to races with two support trucks "he was the only one with that kind of operation, he would arrive in a helicopter. 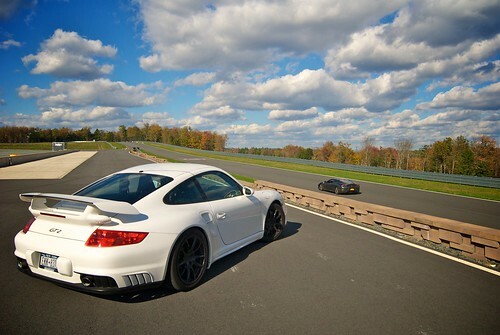 But after the race he would offer everyone lavish meals with champagne and unbelievable women. I wonder if anyone really believed he did not sell sell drugs"
By all accounts, Don Pablo was an enthusiastic but mediocre driver. 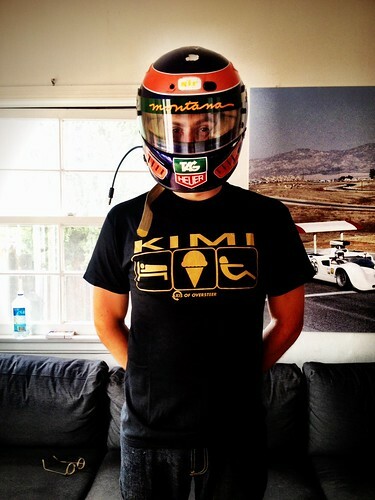 It probably did not help that he used to light up before every race "to focus his concentration". 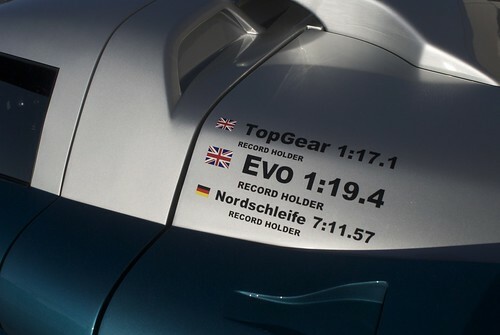 What did help was that in a nominally "spec" series, his cars were always more "spec" than others. He was slow in the turns but uncatchable in the straights. 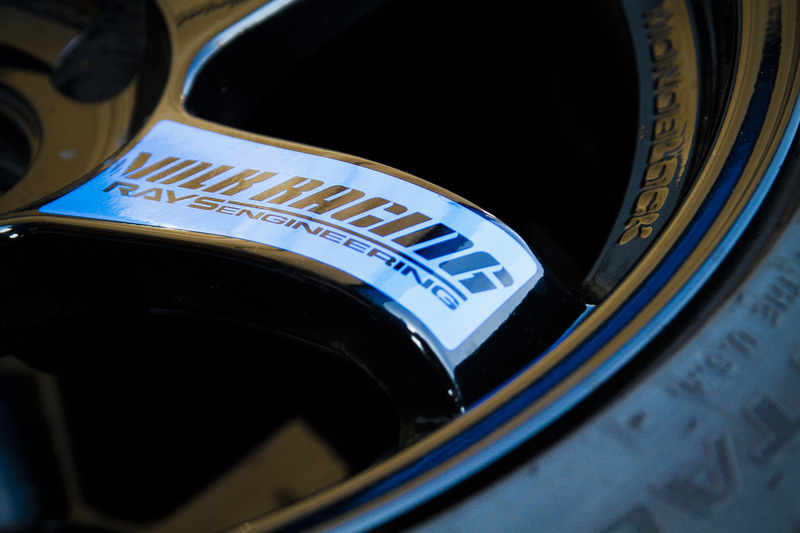 Not surprisingly, there are no records of his cars being found illegal. 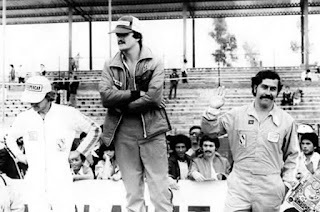 In 1979, after six races Escobar was second in the championship "I can't deny it, life smiles at me, I'm a lucky man" he told a journalist. 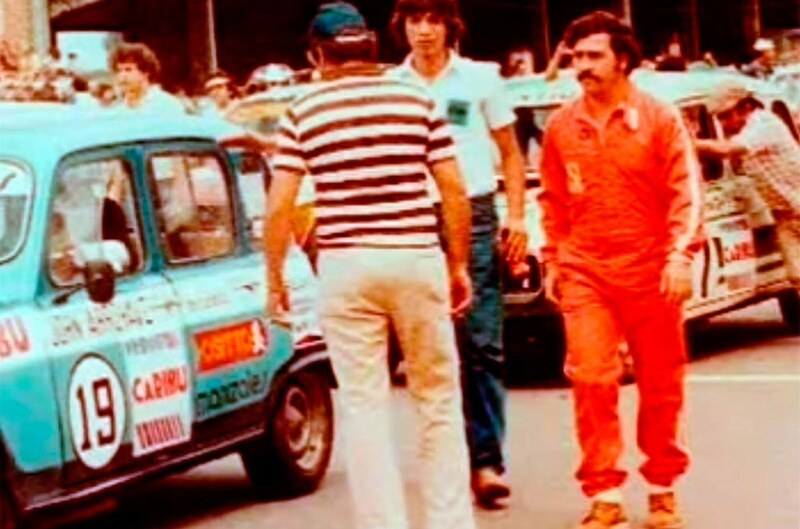 Of course Escobar was not above using some of his "professional" methods in competition: one time he used his connections with the local police to make sure his main rival in the series from getting to the track for what was the first nationally televised race. "Police kept us on the side of the road for hours checking papers" said his rival Alvaro Mejia " we got there minutes before the start". 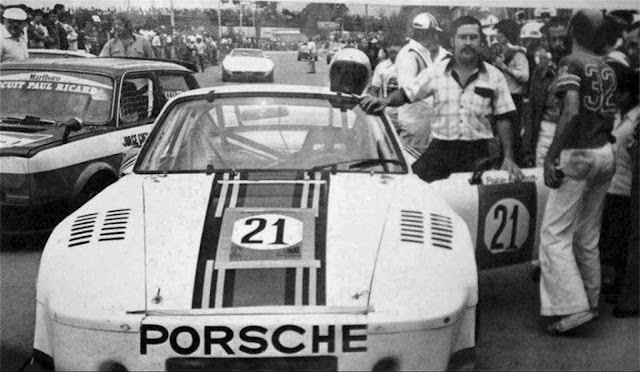 While the R4 were close to his heart Escobar would also field more powerful machines, particularly a 560HP Porsche 935 for a hillclimb in Medellin. 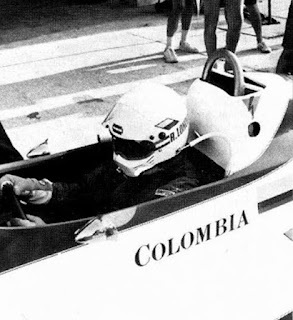 He had a bet with Ricardo "Cuchilla" Londoño, then Colombia's most famous driver, that he could finish within 15 seconds of his time. Cuchilla was the first Colombian to drive in Formula One, almost. He drove for Ensign in practice for the 1981 Brazilian GP but Bernie Ecclestone made it so that he would be denied a Superlicence once he caught wind of where his sponsorship came from. 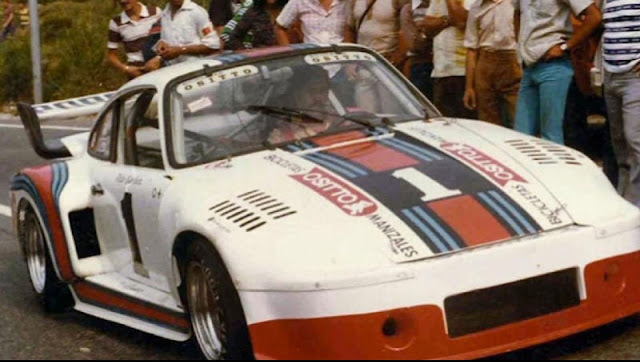 That day, in the Martini liveried 935 which must have looked like a spaceship to the people of Medellin, Escobar finished eight seconds behind his rival. A huge margin in racing but to him, he had "won the bet fair and square" something he was immensely proud of. Happy, carefree days before the horror he wrought on his country in the next decade. Escobar met his end in 1993 at the hand of the police. Londoño was gunned down in 2009.